The Eagles won their first Super Bowl on Sunday night in Minnesota. On Thursday, Feb. 8, Philly will celebrate with a parade. And Shake Shack also plans on celebrating, by offering free custard all day. The flavor will be "Swoop’s Scoop," which features green vanilla frozen custard blended with pieces of frosted chocolate cake from Termini Brothers Bakery. 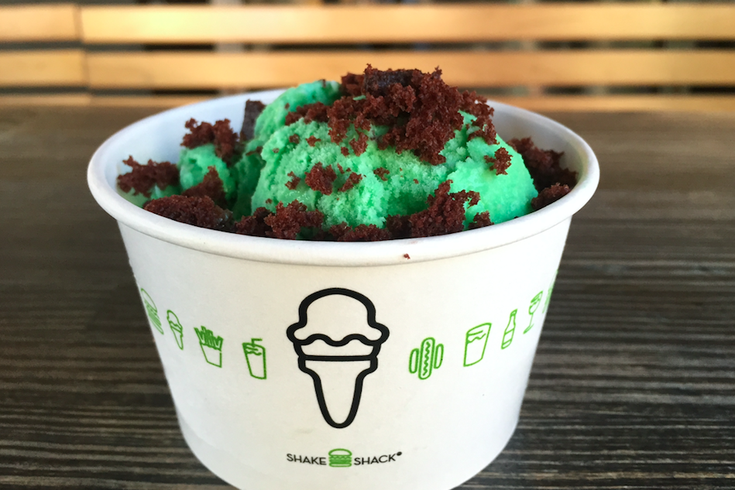 Snag a scoop at the Center City or University City Shake Shack locations in Philly, or at the Shack Shack at King of Prussia Mall. The freebies will be available while quantities last.